Another romantic comedy. With a British accent. In which, in fact, the tragedy prevails over comedy. People have forgotten how to make real comedies – funny, stunning you with laugh every few seconds or minutes. And now, any film in which there are a couple of jokes or laughter of the main characters, always marked by distributors as a "comedy". While most love-stories are tragedies. They contain a bunch of grief, melancholy and serious moments. People have forgotten what a comedy is, and now eat any substitute as the one. 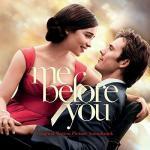 Starring Emilia Clarke and Sam Claflin – very British actors. So much British, that a third part of their prim speech is not perceived by American-language audience. Sometimes it seems to us that it is time to develop the British-American translators, because these strange accents in the UK words don’t make them look any more like a normal American international speaking. Although, maybe they specifically seek for this result, to distinguish themselves? About the same mixed feelings causes soundtrack for this film. Surprise Yourself – is a song, where you want to stop howling of pomaded neat bearded genderless fellow, sending him finally to work by hands, not by lyric. We would also like to wish the leader of the group X Ambassadors to receive more hair on the head and a lesser – on the beard, so he seemed more masculine than now. Men are looking good with beard, if they do not look like gays. No one told it to those two lyricists. Imagine Dragons sound luxurious, and the song The Sound is created as the antithesis to Numb – some boring emos sing about their some boring emo stuff.